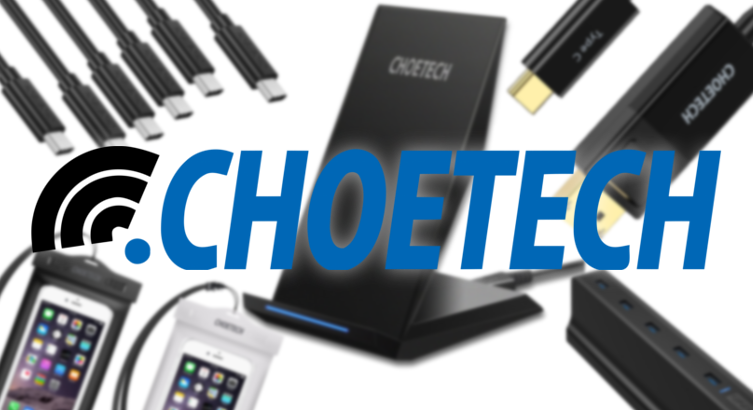 It seems like every manufacturer is gearing up for Prime Day, and Choetech is no exception. Right now over at Amazon, you can pick up a variety of USB-C cables (one reviewed by Benson), a 5 port 90W QC 3.0 charger, and even a pair of waterproof phone bags. These deals are set to expire on the 10th (Amazon Prime Day), so you only have a few days left. The two-pack of USB-A to USB-C cables that is on sale is even Benson-approved, and Choetech claims that those in the six-pack are also, though I can't find a specific review on them. Apart from those cables, the most unusual items Choetech has placed on sale, in my opinion, are the waterproof phone bags for $5.99 ($4 off, coupon code FN6NUKYS). I usually toss my phone in a Ziploc sandwich bag if rain is expected before going out in the city, since I can still use it through the thin plastic. But, something made for the purpose might be a better idea. There are a handful of other interesting items on sale, like a 5-port 90W charger that is compatible with Qualcomm's Quick Charge 3.0. That particular item is marked down $20, making it 43% off (coupon code 6XU9Q3VO), and by far the biggest savings of the bunch. There are also a couple of cables for hooking up a monitor or TV over USB-C. You can get a USB-C to DisplayPort cable for $12.99 ($9 off, coupon code GFLTDMYR), and a USB-C to HDMI cable for $15.99 ($11 off, coupon code GFLTDMYR). Some of the deals, like the fast wireless charging stand, are unchanged in price since the last time we saw them a few days ago, but they are still the lowest we've seen. Keep in mind that for all of these deals you'll need to use a coupon code to get the best price, and the clock is ticking. These codes are set to expire on July 10th.